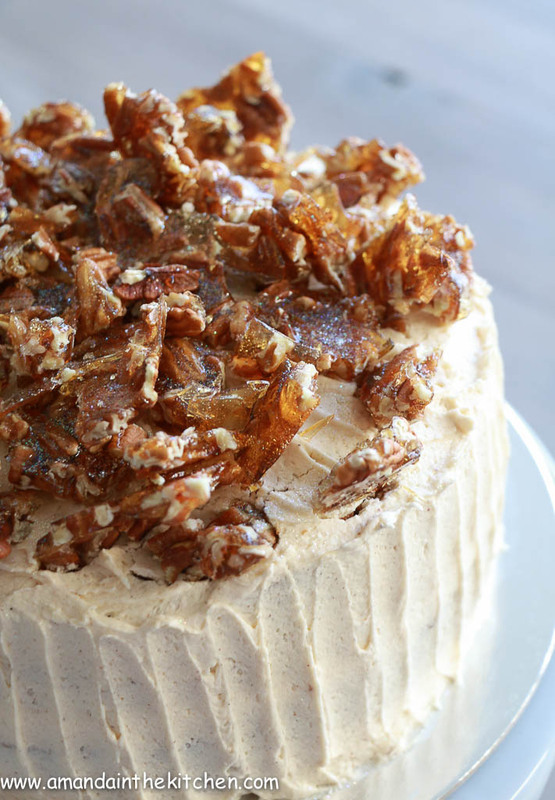 A wonderful take on a carrot cake. 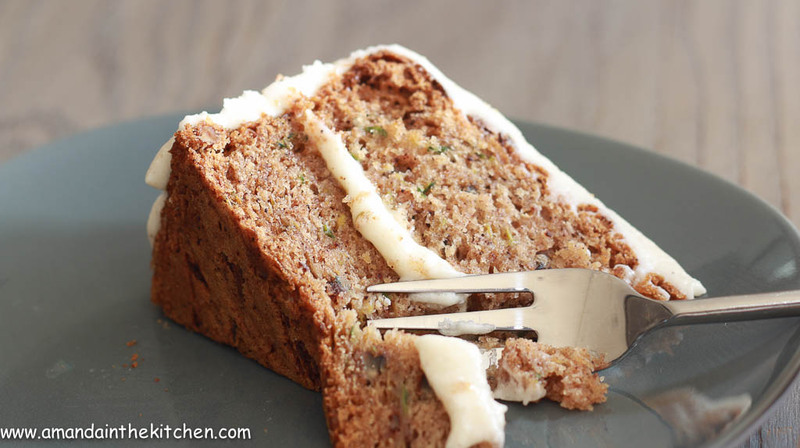 Loads of green energy in this nutty wonder to make you feel healthy while eating a slice of cake! Preheat the oven to 170°C and line two 20cm baking tins with baking paper. Using an electric mixer or hand held mixer, combine the eggs, oil, sugar and essence and beat for 5 minutes until light and fluffy. This is important as it helps the GF cake to rise. Sift the flour, baking powder, bicarbonate of soda, xanthan gum and all the spices together in a separate bowl. Using a cake spatula, fold the flour into the egg mixture until combined being careful not to knock all the air out of it. Add the zucchini and the pecan nuts to this and combine. Divide the batter into the two baking tins and bake in the oven for 30-40 minutes until golden on the top and a skewer comes out clean. Allow the cakes to cool in their tins for 5 minutes before turning out. Beat the butter, icing sugar and the cinnamon with the electric mixer until well combined and then add the greek yogurt and beat until light and fluffy. Preheat the oven to 170°C and line two 22cm baking tins with baking paper. Using an electric mixer or hand held mixer combine the eggs, oil, sugar and essence until well combined. Sift the flour, baking powder, bicarbonate of soda and all the spices together in a separate bowl. Add the flour mix to the egg mix in two batches and beat on a low speed with the electric mixer. Add the zucchini and the pecan nuts to this and combine by hand. Divide the batter into the two baking pans and bake in the oven for 30-40 minutes until golden on the top and a skewer comes out clean when pricked. Bring the water and the sugar to a boil until the sugar reaches a temperature of 170°C and is a lovely caramel colour. Arrange the nuts on a tray lined with non stick paper or a silpat baking mat. Pour the hot caramel over the nuts and wait for it to cool before breaking into pieces for decoration.